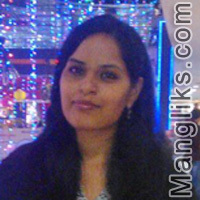 Kavita Yadav is a warm, caring, loving & trustworthy person.She shares a very special bond with all my friends & family. She is liberal by mindset and creative in nature. Given her beliefs and value system in life, she is going to be an inspiring and compatible life companion in each and every eventuality.We are looking for a well educated, well settled boy for her. We are looking for a well educated, well settled boy.